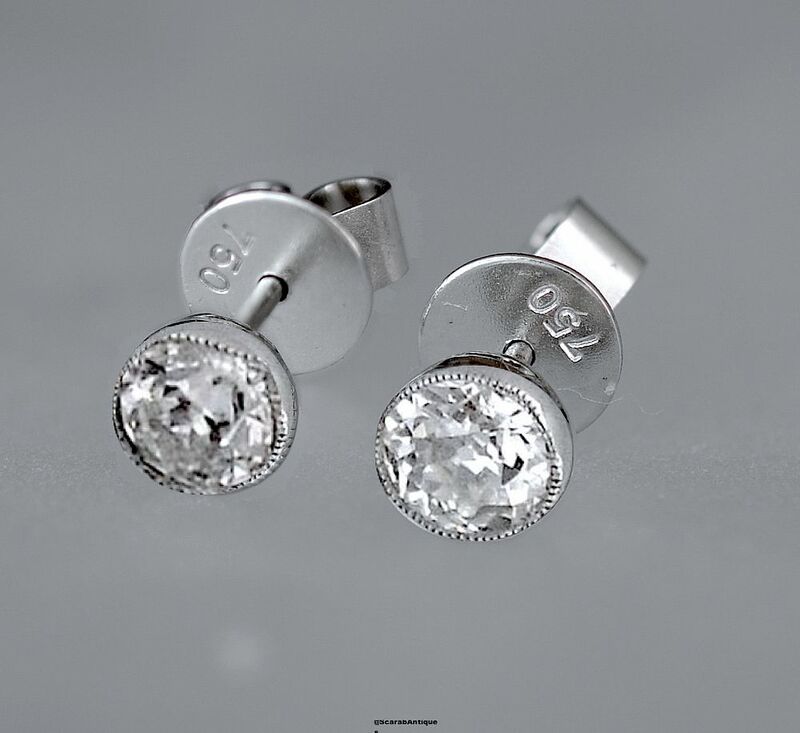 These fabulous platinum stud earrings are set with fine quality diamonds. Each earrings has a round Old European cut diamond in the centre of a mille-grained rubover setting above a post for pierced ears. The burtterflies are in 18ct white gold. An elegant yet understated everyday wear!